A much shorter version of Point Lenana won a prize at a literary festival some time ago. I have now expanded it into a novella. It’s still too short to be published as a full-length book, but Thistle have put it on Amazon as a Kindle Single. It was Kindle literary fiction’s No 1 best seller (short stories) in June 2014. 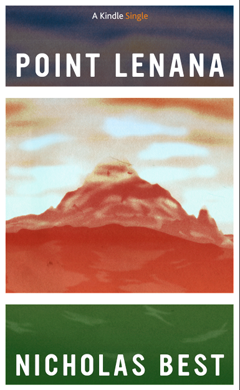 Point Lenana tells the story of a German climber whose body is discovered on the glacier of Mount Kenya after 50 years. Perfectly preserved by the snow and ice, the man is still as young and handsome as he was in the summer of 1939. Nursing her memories of the approaching world war, an old lady flies out from England to identify the body and reflect on her past life. ‘A Hollywood blockbuster in miniature… Point Lenana proves the irresistibility of a good old-fashioned story well told’ – San Francisco Chronicle.